This Precious Gem is a beautifully landscaped traditional home. There is privacy fencing in the backyard if you have pets, children, or grandchildren. You can have a pool installed, if preferred, and the advantages of a private large backyard. The home is located in a central location with great school districts.The kitchen has a large tiled breakfast bar area. The kitchen design has lots of counter space. There is a separate space to set up an office and/or bonus area. This will make a great home for a family looking to upgrade from a starter home or just a great home to live in a nice well maintained neighborhood. This is a must see home that will not be on the market long at this great deal. This is a beautiful move-in ready home. In addition to the Neighborhood Watch already established in the neighborhood, a high technology security plan is already installed in this home and the new owner(s) get to enjoy the additional security agreement until it expires. Don't be mistaken, this is not a high crime area, it just has the advantages of being well kept and updated with modern security. What more can you ask for. This is an awesome deal with lots of extras in the home. A must see for serious buyers. 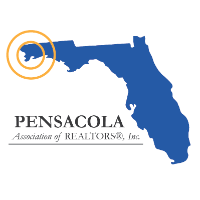 I am interested in 2207 Sparrow Ln, Pensacola, FL 32534 (Listing ID # 552040).